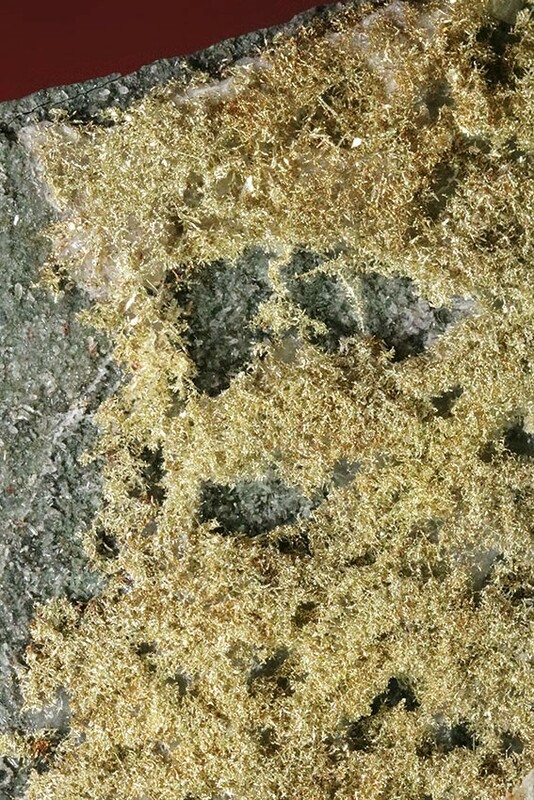 I recently reduced the price of this rare gold specimen by quite a bit, so the price is much lower than you would expect for such an amazing gold specimen. 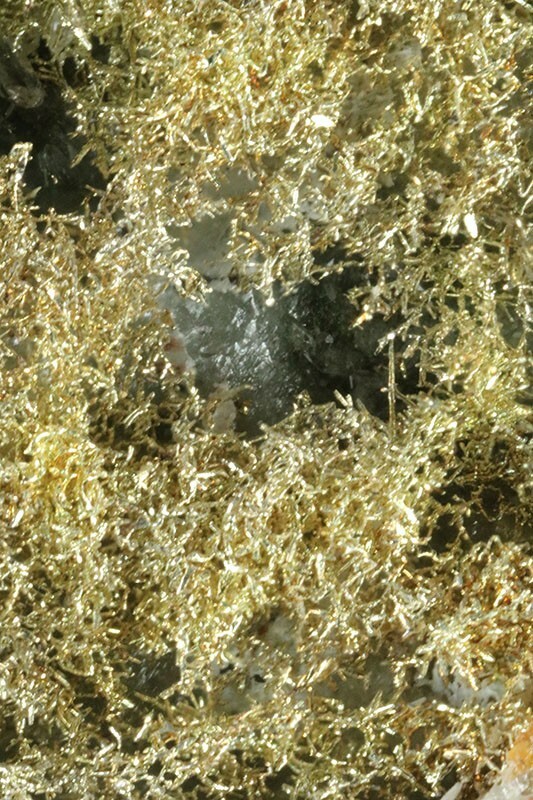 It's not often that you see a huge natural electrum wire gold specimen for sale from the Olinghouse Mine, especially one that has such a large amount of gold on it, and at such an affordable price. 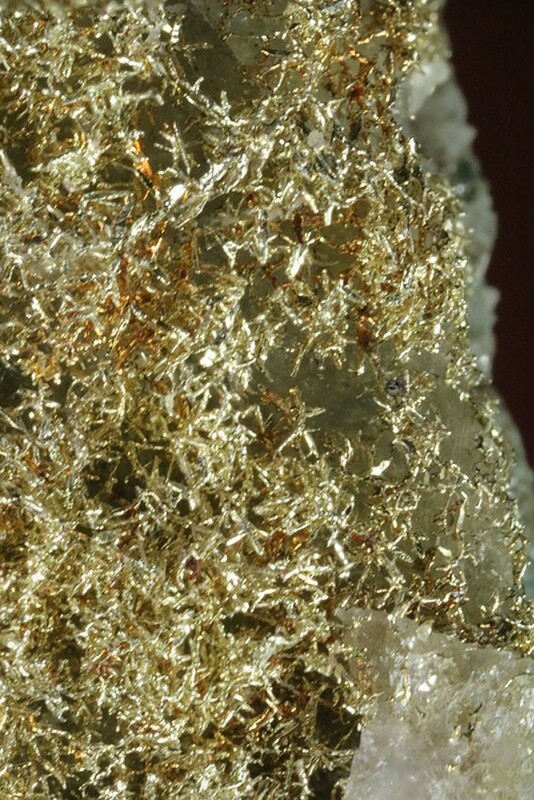 Check out the close ups of the natural fine gold wires on this gorgeous specimen. 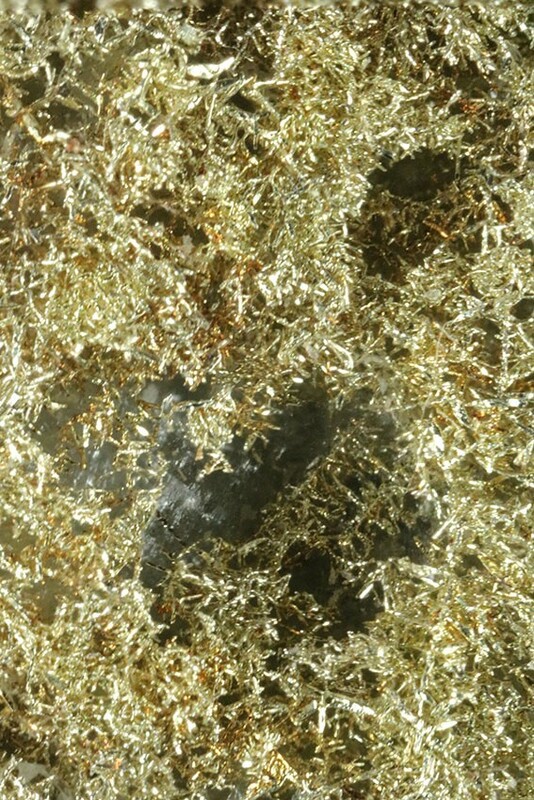 Most Olinghouse specimens have very little gold, but this one has the majority of one face covered with a thick mass of fine wire gold crystals. It's been quite a few years since I've seen an Olinghouse gold specimen this nice offered for sale. It weighs 9.36 Troy Ounces (291.2 Grams) and it measures 3" x 2.5" x 1.5" (8 cm x 7 cm x 3 cm). 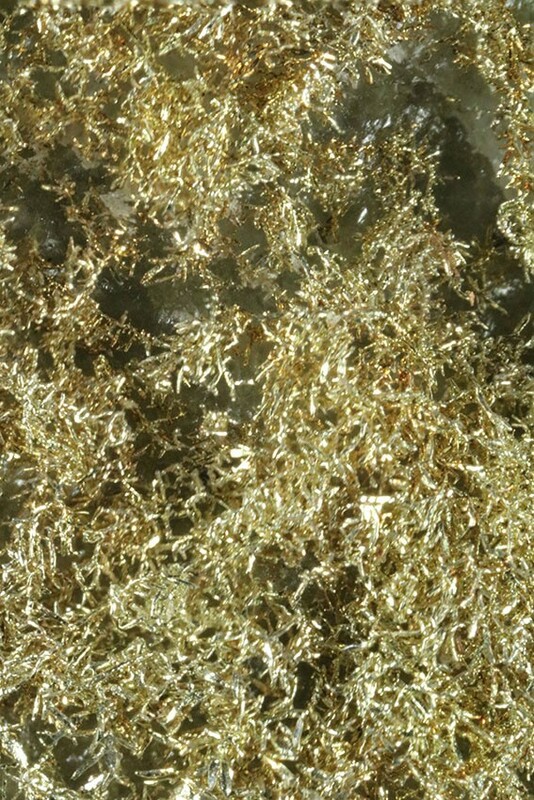 You can see from the close up photos that the gold wires sit atop of the matrix in a large spread out mass of wire gold crystals, among the rarest forms of gold found in natural form. 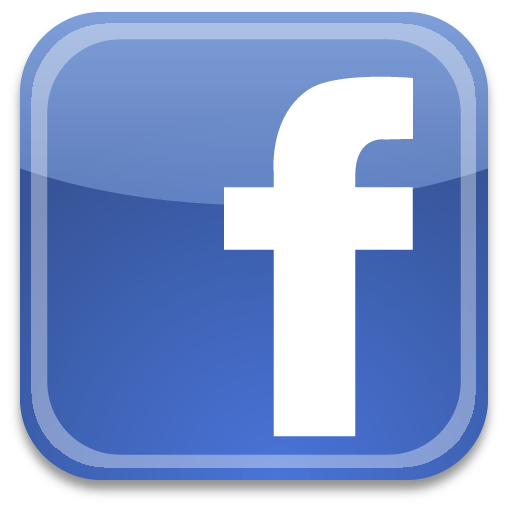 The Olinghouse Mine is located in the White Horse District, Pah Rah Range (Pah Rah Mountains) in Washoe County, Nevada. It's been quite a few years since the mine has produced any gold specimens. This would make an amazing addition to a serious gold collection.